This study examined brassinosteroids-induced enhancement of plant salt resistance of tomato. Pot experiment was conducted in the whole-life-cycle of cherry tomato. The effects of 24-epibrassinolide (EBL) foliar spraying on temporal and spatial distributions of ions and PAs in the whole-life-cycle of salt-stressed plants were studied. EBL could well relieve salt-induced inhibitory effects on plant growth and development in different levels, especially in the late period of tomato. EBL inhibited Na+ upward transport in salt-stressed tomato, especially in their flowers and apiculus. Salt stress decreased PAs concentration in tomato: Put > Spd > Spm, however, Spm was also the most obvious one of PAs elevated by EBL in nutritoriums of salt-stressed tomato. Also, EBL-induced an obvious increase of PAs, mainly in young leaves. EBL increased fruit-PAs concentration in mid-anaphase, and promoted the (Spd + Spm)/Put ratio in premetaphase of fruit period, improving their salt resistance. EBL alleviates salt stress on tomato through regulations of Na+-root-to-shoot translocation and PAs concentrations in the whole-life-cycle, which especially showed in young vegetative organs or fruit organs, improving its salt resistance. Also, the PAs increase caused by EBL is also likely to be related to the decline of Na+ and little change of K+ in the shoots of salt-stressed tomato that were sprayed with EBL. Responsible Editor: Frans J.M Maathuis. 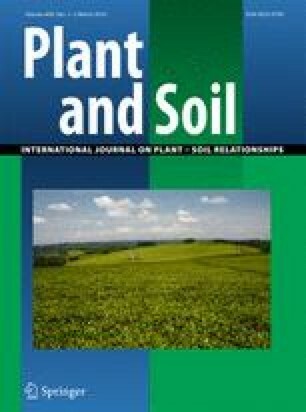 The authors gratefully thank for the support provided by “Jiangsu independent innovation program of agricultural science and technology [CX(15)1044-06]” and “The new project of agriculture of Jiangsu Province (SXGC291)”.